The Olympic National Forest is located on the Olympic Peninsula in the northwest corner of Washington State. The Olympic Peninsula is synonymous with diversity. Landscape settings range from temperate rain forest to rain shadow, saltwater beaches to snow capped mountains, and large lowland lakes to mountain tarns. Recreation Site Information-View camping, hiking, horseback riding, fishing, and more recreation opportunities available at the forest. Recreational Diversity-An overview of the diverse landscape settings that range from temperate rain forest to rain shadow, saltwater beaches to snow capped mountains, and large lowland lakes to mountain tarns. 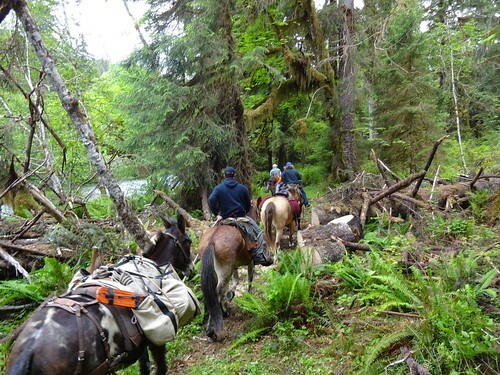 Points of Interest- View a list of points of interest within the Olympic National Forest area. The Great Washington State Birding Trail, Olympic Loop- The Great Washington State Birding Trail - Olympic Loop, is a self-guided driving tour using custom maps with information about each listed site including: habitat, access, bird species, best season(s), and amenities. Climate Information-The Olympics are known for their heavy amounts of rain in the lower elevations and snow in the higher elevations. They offer a variety of weather conditions. Be prepared!